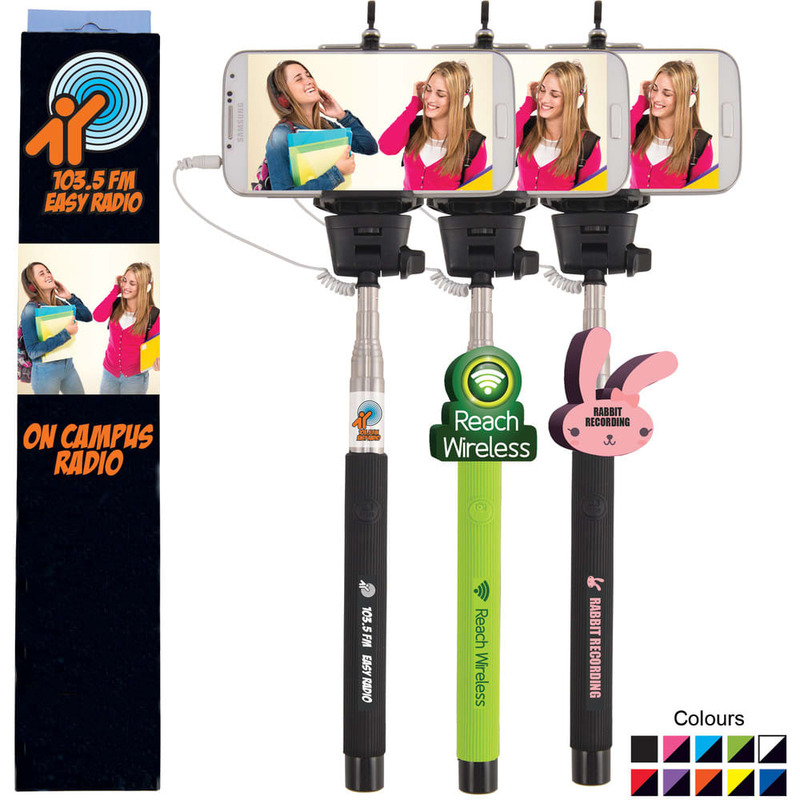 Adjustable selfie stick compatible with IOS and Android smart phones. Telescopic stainless steel shaft extends to1m. Cradle size can be adjusted to suit most phones currently in the market. To power plug the 35mm plug into the headphone jack of the phone. Take photos/videos by clicking the button on the handle. Optional custom moulded topper available minimum qty 250 units.